The rune gives a chance to steal on any attack and can stack. 2 runes gives you a 40% chance to steal 1 buff per enemy per hit. No matter how many runes you equip, there will be a 0% chance to steal 2 buffs from an enemy on a single hit. The caster runes stack additively. If you equip 5 to Shade, he will have a 100% chance to steal a buff every time he hits an enemy. 20% per rune. 2 runes is 40%, 5 runes is 100%. Math isn't for cats. They prefer to order others to do math for them. I misread the original post, somehow interpreting it as a 40% cap. I’ll be amazed if it actually turns out to be purely additive. We’ve already seen several examples of devs borking the math when explaining things here. 1-Love that you’re implementing more and more “specialized” runes. I don’t think this particular one is that useful at top end pvp, but I could definitely see it being a cool thing I break out now and then, plus it could possibly do some really cool stuff in PvE. This, energy runes, extra attack runes...keep this kind of variety coming. 2-I like that the caster temporary buff is meaningful and not another “caster start with extra energy” or whatever nothingbuff. I’d love to see regular meta-shaking temporary changes like that. 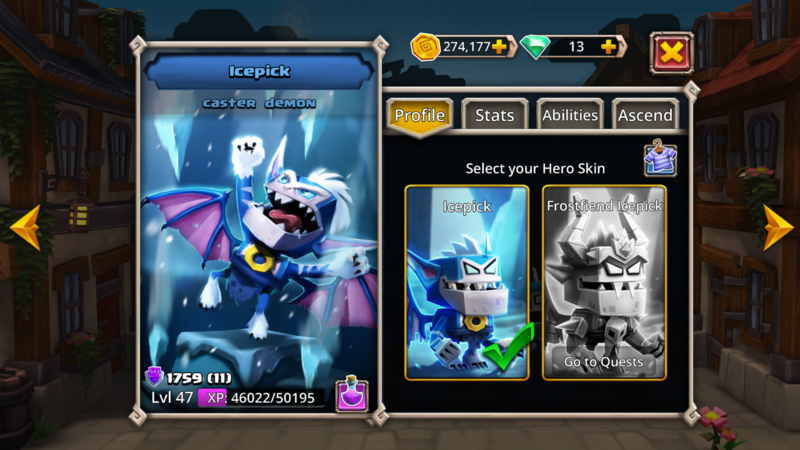 What’s up with the Frostfiend Icepick skin being shown on the icepick character sheet as a quest item? Was the last caster calamity event copied and pasted to this event? This rune will be a pain when defending GTs and Grogs rip off shrouds and stoneforms. Pretty cool still. and can it be possible for dwarven resolve to do extra damage to enemies with a dodge boosting buff on? @MarcusAurelius My instinct tells me that Dwarven Resolve is mapped to hit specific heroes with dodge-related passives (i.e. shifty). The issues here come as no surprise, seeing as some bugs previously revealed that Koros's bonus damage against magical enemies was working against some heroes, but not others - meaning that it was more likely hard-coded than searching for a "Magical" tag on the target.